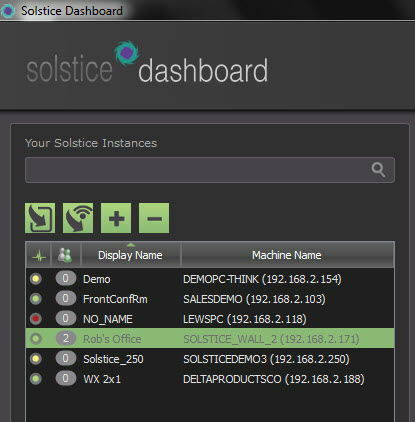 Solstice Dashboard enables IT administrators to configure, manage, and monitor the status of Solstice displays throughout the enterprise from a central location. The dashboard provides control over license management, security settings, use mode (Roundtable or Podium), and display appearance. Enhanced Video Streaming: Supports all common video file formats and any resolution, allowing any participant to control (pause, play, etc.) videos posted by anyone else in the session. In addition, video streaming now includes synchronized audio playback on the shared display with distributed volume control and auto-mute capabilities when multiple audio sources are published to the same display. Network Visibility of Displays: The optional Solstice Directory Service (SDS) allows administrators to control how displays will be published and accessed on the network. This week Mersive announced its new sales partnership with Mojoworx, one of Asia and India’s premier importers and distributors of audio, video and data distribution and display technology. Mojoworx will introduce Mersive’s visual computing software solutions to the markets in Asia and India, helping to drive Mersive’s global expansion. The demand for both Sol and Solstice continues to increase world wide, and working with Mojoworx as a partner is key to supporting this demand and our global expansion efforts. Mersive partner Audio, Video & Controls (AV&C) recently used Sol for two impressive display projects. In New York City, they worked with Villard Michel Richard to align and blend three Digital Projection dVision 30 projectors on a barrel vaulted ceiling. In a high-end mall in Shanghai, AV&C used Sol with four Projection Design F32 projectors on non-planar surfaces. These projects leverage the high performance of Sol’s patented per-pixel alignment solution to produce amazing results at affordable prices.